Like the map? Give a Diamond, they help out a lot! Might add Perks in the next update, Comment if you want to see perks! 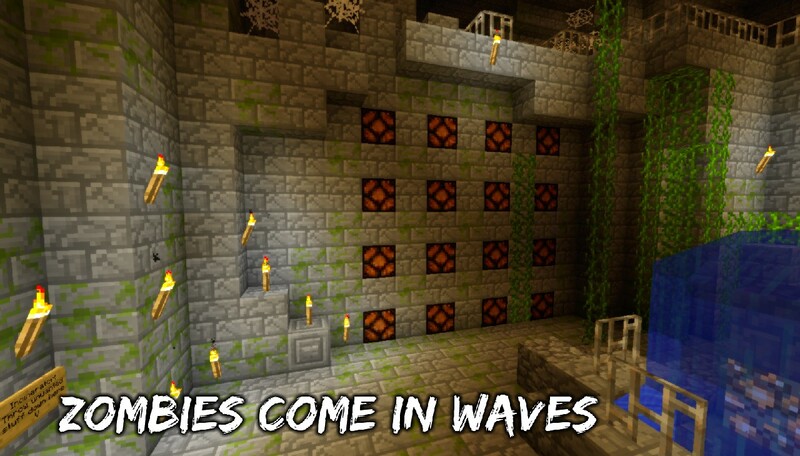 Ruins of the Dead is a map in which you Survive Waves of the un-dead. 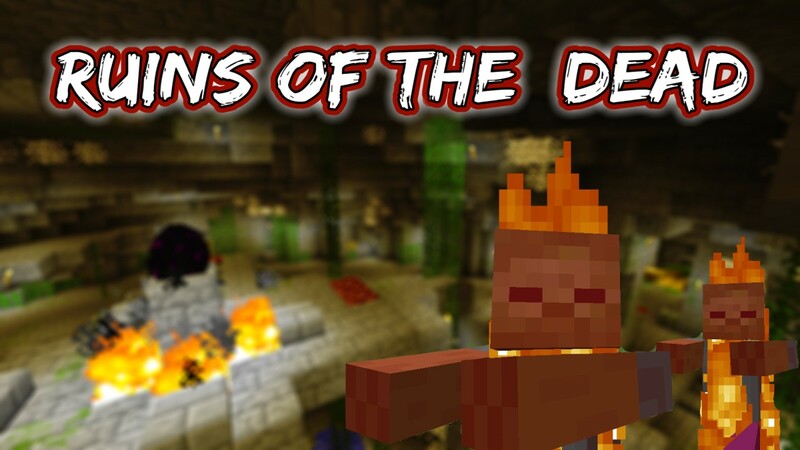 Set in an ancient ruined underground temple, you will have to fight off 16 waves of zombies before entering the zombie lair. Zombies come in waves. There are 16 waves. On the way you can get new weapons, armour, upgrades and more! 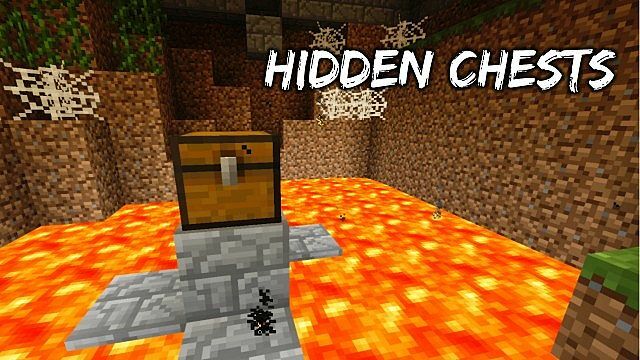 You can set traps for zombies, find the hidden chests around the map, enchant your weapons and find hidden areas! There have been tales of a forgotten underground temple for years. The story has passed on for generations. It is said that there lies the home of all zombies. Many brave adventurers have gone searching for the temple, but none of them have come back alive. There was said to be a map, that would lead straight to the zombie temple. You dont remember how but somehow you have possession of this map. You decide you would go looking for these ruins. Zombies have been terrorising your village for years. You should head out to the ruins and put a stop to it all. Just passed 250,000 Downloads - thank you everyone who downloaded! it wont let me download this!! just redirects me to a ad website!! Cant download with the garbage redirect link. Just wanted to say I played this through with friends years back. Really great map! Had tons of fun! I played the first version of this and loved it. Can't wait for it to finish downloading. You've done an awesome job and I can't wait to play. Thanks :) Have fun playing! So I tried this map with one of my friends. We cannot get any of the buttons to work, even with the required point amounts. We don't have any mods and I installed the map fresh from the zip from this site. Are you having problems downloading the map? Yeah, sorry about that, its been fixed. 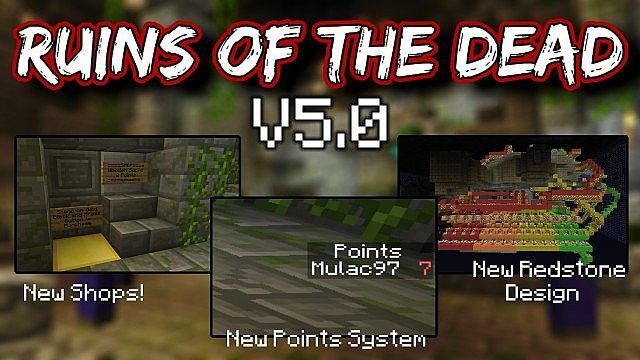 How do you add the point system, do you need a mod? Oh, right! I forgot about that! The map looks awesome. 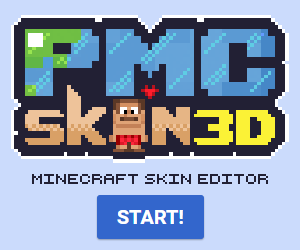 I saw gameplays and I think im downloading it! Diamond! Love this map, could I do a lets play of it with my friends? This maps is really cool. Trailer might be the best vid i've ever seen in my life, I know its outdated but, its "EPIC"
i love this project its the best. 1 sub. 1 Diamond and 1 favorite!! 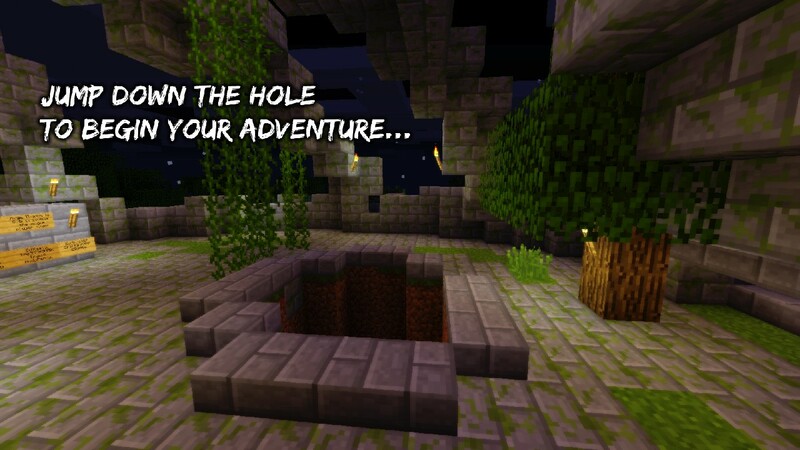 That doesnt mean your not whitelisted, that means minecraft servers are down or the ruins of the dead servers are down. i played this with sdk. With the recent 1.4.2 (soon to be 1.4.3) this map could be changed. You could decrease the amount of Villagers around the map, making you have to heal Zombie Villagers. You could make some weapons or armour drop where the zombies spawn, so they pick it up, giving you an extra challenge. 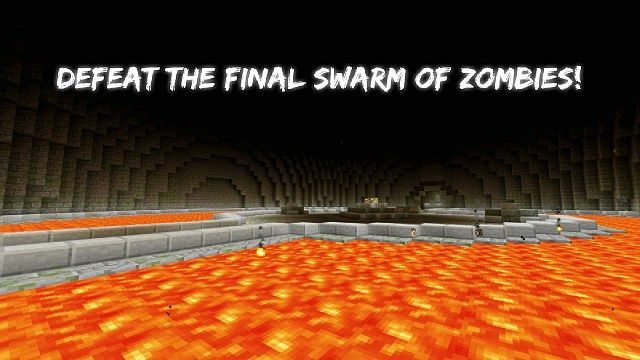 And I suggest you turn off mobGriefing to prevent Creepers blowing up the map. Oh. I didn't want to install the mods in case they conflicted with my others mods. Another idea, how about some Wither Skeletons, maybe on the Boss Rounds? Because they deal more attack than a normal Zombie. I need to BUY IT?! SERIOUSLY?! BUY IT?! HELL NO :'( IT LOOKED SO GOOD ON THE LET'S PLAY DAMMIT!!!! (sky sent me). Im going to make this week a lestplay!!!!!!!! i gave the 100th diamond! 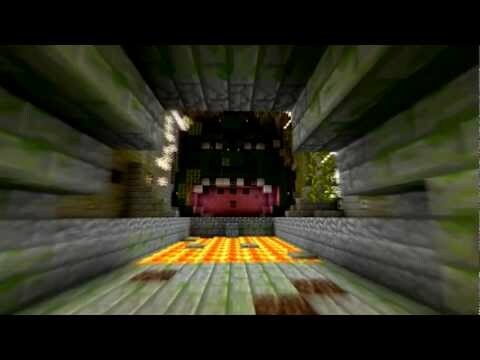 This, is the single best map i have ever played scince i downloaded minecraft, it is so awesome! the random dispenser, the rooms opening at certain rounds, its all so amazing! I was playing lvl 2 and lvl 3 and a blaze spawned on both round... What's with that? When you download the file and you get, Ruins of the Dead SP v3.1 in a WinRAR file (Or whatever archiver you have) you open that up. Then after you opened it up, then there will be 1 file there, Ruins of the Dead SP v3.1, open that. Now multiple files should be in the folder, open Map up. 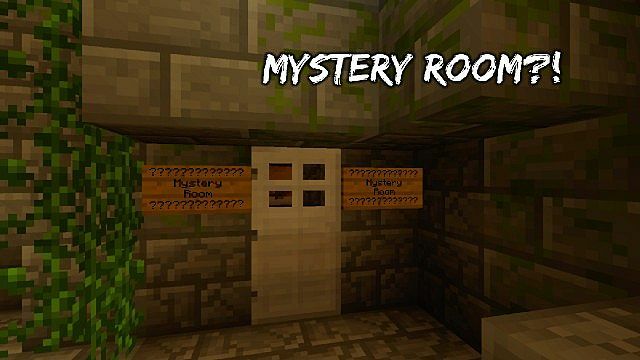 Then the file Ruins of the Dead is the map that you should put in your .minecraft saves. Maybe try read the install instructions, you have to double click Install Map! Hi, me and my friends did a play through of the map on our channel, we'd love it if you checked it out. On round 4 I believe my game glitched, after 30 minutes on round 4 only the zombies kept spawning, before I died I know I had more than 4 64 stacks of Rotten Flesh. Is that a glitch? Alright on round/wave 4 the zombies kept spawning after 30+ minutes of me fighting them. I know I killed more than 100 zombies on that wave because I had more than 150 rotten flesh in my Inventory. And where the zombies spawners are they where still open after 30 minutes. I think the pistons or something broke, and no creeper exploded to destroy the redstone wiring. Hey, I'd be willing to help with the next map. Check my feed, and log on my server for a more detailed version of what I do. Zombies wont spawn. I just run around and collect items at the end of each round.